Welcome back for a new episode of TNB! This week we welcome Euripides from outdps.com and the Hunting Party Podcast! We talk hunters, of course, but also dig into alts, leveling and we announce our new Multi-Cast Halloween Giveaway! TNB will having a virtual meetup on the PTR on Monday 10/12 (and probably also on Monday 10/19). Send email to info@twistednether.net for more information. We’d like to encourage all of you to visit the TNB Wiki and be sure to be listed in the Big List of Blogs. Next week we’ll have a 3.3 Round table with Matticus(World of Matticus), Stoneybaby(Big Hit Box), Graylo(Gray Matter), Honorshammer(Honor’s Code) and (maybe) Pike(Aspect of the Hare). My Appearance on TNB! « OutDPS! why can’t the nub pronounce Draenei correctly? does he not hear you guys saying it right? 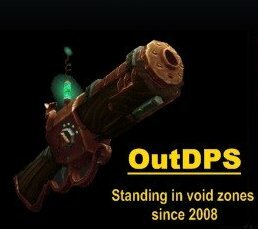 WOW 2009 in Review « OutDPS!